← [FAQ] What is STEM? While visiting Boston with some friends, Sarah arranged to take a tour of MIT’s D-Lab, where she met with the director of their Youth Outreach program. During their tour, Sarah got a peak at how they arrange a learning space to facilitate exploratory design projects, and at the sorts of materials available to support and inform students and teachers as they embark upon design and engineering projects (including “Learn-It,” “Build-It,” and “Do It” graphics and manuals). 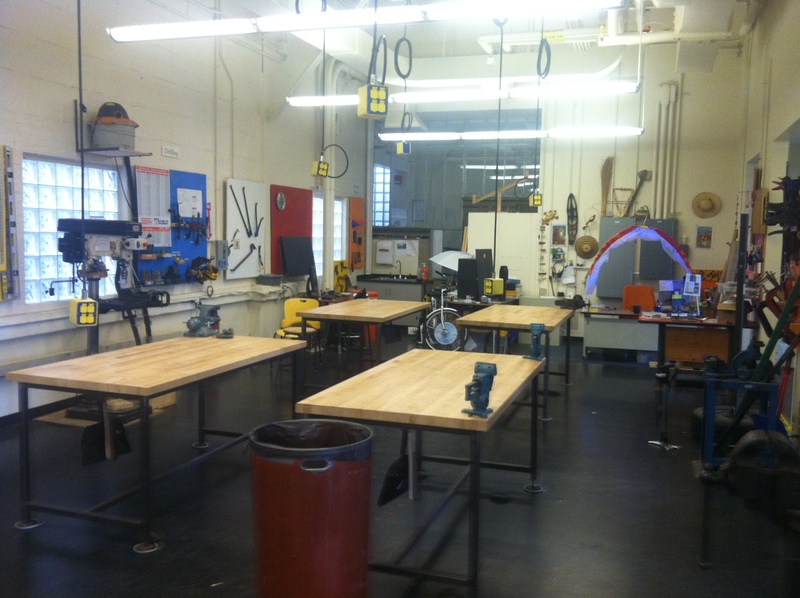 The MIT D-Lab provides an open space for collaborating on unique design and engineering projects. 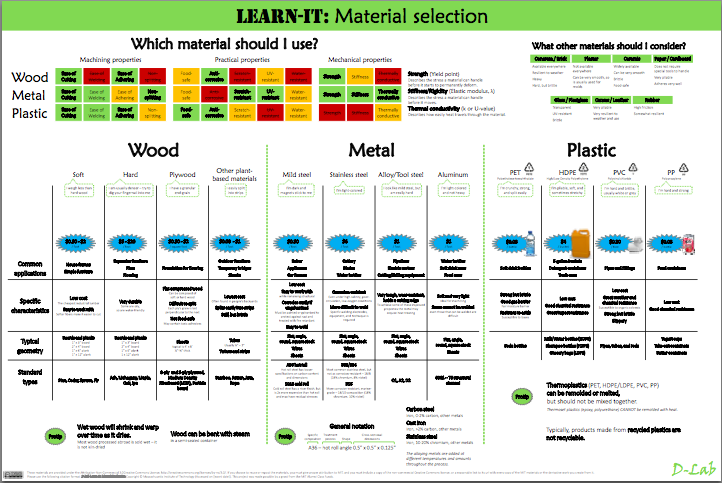 D-Lab Learn-It posters provide a comprehensive summary and introduction to materials students might incorporate into design projects. The D-Lab Youth Outreach program and its director, Jessica, are actively promoting the incorporation of design and engineering STEM projects into secondary education, making available curricula from MIT D-Lab courses introducing novice students to the design process itself, as well as those featuring content-specific problem solving around a variety of topics including energy technology, medical technologies and waste management. Sarah and the rest of the team are jazzed up to see how these resources might support our conception and execution of student-selected STEM Studio projects!